Is it weird to do a case study for our own website? Maybe… But we’re doing it anyway! Here’s how we designed and built our new website. In a competitive online space, we wanted to stand out by creating a memorable website that would demonstrate our technical capability, design expertise and fun personality. We wanted a dynamic website to sit at the heart of our marketing strategy. The site needed to be bright, cool and have a fun user experience. The content, design and build were all completed by our inhouse experts. We never outsource work for our clients so why would we do that for our own website!? We knew that we wanted to do something different with the style of the website but we didn’t know exactly what that meant. To come up with some style ideas, our UX designer (Rhi) rallied the troops, split us up into groups of four and facilitated mini idea workshops. During the process, Rhi took us through whacky Eden-themed scenarios that we then had to describe back to her. So, for example, she may have asked us what an ‘unusual’ Eden Agency hotel door would be made out of. Bubbles, rainbows or a large beard were some of the answers. All of the information and ideas from the workshops were collated and transformed into four different mood boards (in the image above). We all voted on our favourite mood board and this was used to guide Rhi when making design-related decisions. Although idea development is something we’ve honed through our Sprint Week process, the chosen ideation process was new to us. 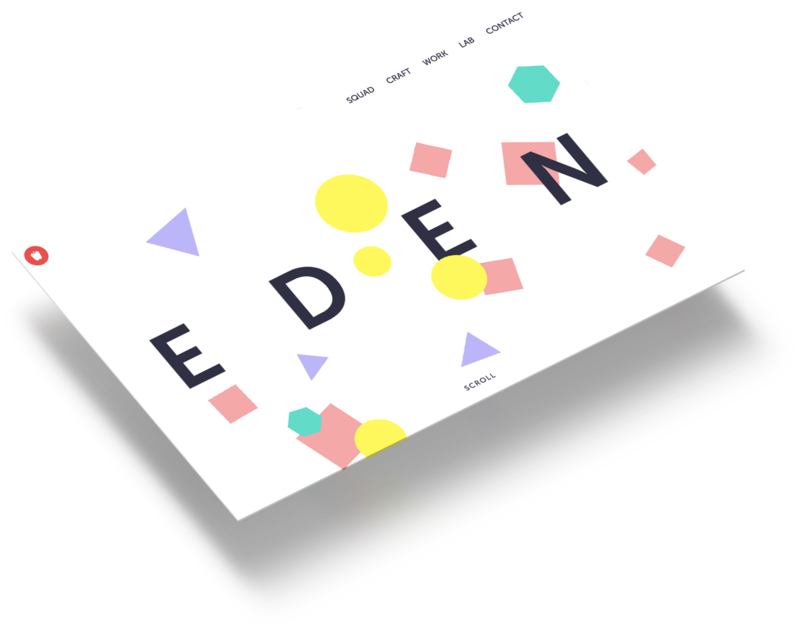 The workshops were a success and helped us to think creatively and collaboratively and resulted in a website that effectively communicates the Eden brand.